Fully multicoated lenses for increased light transmission for optimal brightness. Matching turrets / reticle in MRAD. Illuminated Red / Green reticle. Nitrogen filled with O – ring seals guarantees superior fog and water proofing. 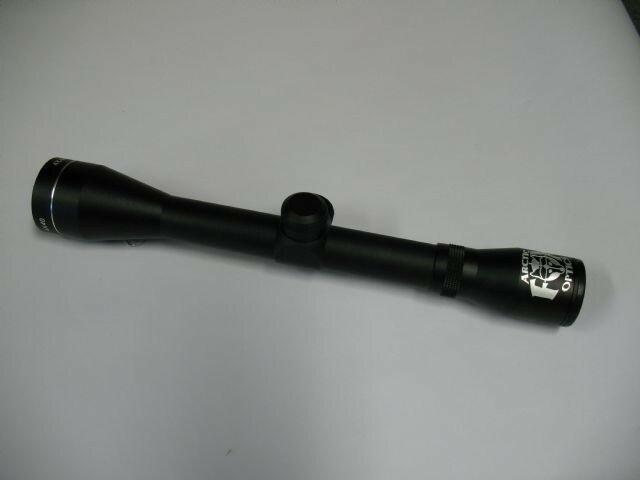 30mm diameter main tube with hard anodised black matt finish. Exposed tactical turrets provide fast, accurate and easily read elevation and windage adjustments. Total adjustment windage and elevation >+/- 25 MOA MRAD. SEE NICK HARVEY`S REVIEW IN THE 2016 NOVEMBER ISSUE OF THE SPORTING SHOOTER MAGAZINE . 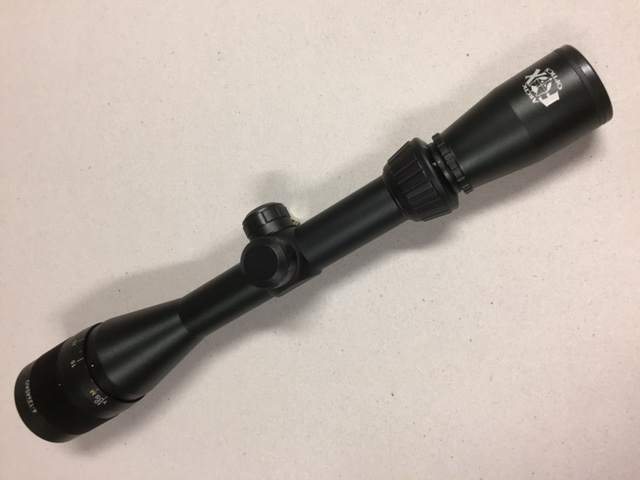 Arctic Fox 6-24x50mm – This is a new varmint-target tactical scope with fast dioptre focus and parallax adjustment via a knob located on the left side ofthe scope. Graduated from 25yds. to infinity, it has sufficient tenslon so as not to be accidentally moved. The turret dials, rheostat and magnification band numerals, together with those on the parallax-adjustment knob are large enough to see when you are positioned behind the scope. Like all the other dials and turrets, movement of the power ring requires a concerted effort, which is all to the good. The 6-24x has a Iength of 404mm, weighs 784 grams and has typical target-style elevation and windage turrets. Similar to the 1-5×24 it features a dual colour illuminated reticle with intensity and colour controlled by a rheostat on top of the eyepiece. Each colour has five progressively brighter intensity settings powered by a CR2032 lithium battery. Fully multi-coated lenses, allied with a 50mm objective lens allows the highest possible light transmission. Exit pupil varies inversely from 8.3mm on 6x to 2.08mm on 24x, and field of view narrows from 17.8 metres to 5.1 metres as magnification increases. Exposed tactical turrets have 1/8″ click adjustments for the MRAD reticle. There was minimal information about the reticle, which is located in the second focal plane where the size of the reticle in relation to the target (subtension) continually changes with adjustments in the magnification setting and requires a single setting be maintained to accurately use range-estimation and holdover markings within the reticle. With the Arctic Fox 6-24x this only works when set on 10x magnification. By contrast, in a first focal plane riflescope, the reticle increases or decreases in size in relation to the target, thus subtension remains constant allowing accurate range estimation and holdover values throughout the entire range of magnification settings. To zero the scope, loosen off lock screws on either side of the adjustment knobs and position the setting to “O”. Before any clicks are wound on, first tighten the screws to ensure the range setting doesn’t inadvertently get changed. The indicators on the adjustment turrets are tightly spaced vertical white lines, all of equal length with reference numbers. Instructions say the user should sight-in the scope by zeroing the first shot at the centre intersection then fire the second using the first dot down, the third shot using the second dot down and so on. Calculating the increase in height on the target allows the shooter to estimate the amount of bullet drop compensation given using the alternative aiming points on the reticle. This also applies for the windage adjustment. Personally, I’d measure the distance using a laser rangefinder to make sure I’m using the correct dot on the reticle. In addition to dots there are hash marks with the numerals 2, 3, 4, 5 and 6. A True Mil Dot Reticle Key shows the changes in both M.O.A and Mils. The turrets are graduated in 1/4 -M.O.A or 0.1 mil, adjustments for windage and elevation dials, which complicates calculations somewhat. The spaces between mil dot centres on mil dot reticles subtend 3.6″ at 100yds., 7.2″ at 200 yds., 10.8 ” at 300 and so on. By my reckoning, the scope would have been better having mil/ mil turrets with the clicks in mils and adjustments in centimetres [2 mils per centimetre per click). Complex Mil-Dot reticles do fine work for varmint and big-game shooting where you must hold not just for range but also for wind. I’ve heard guys criticise reticle range estimation, saying that game doesn’t stand around to be measured. Well, if a deer is far enough away to need an accurate range estimation, it usually isn’t aware of the hunter, giving him plenty of time to use the reticle to place his shot more precisely and score a clean kill. For testing the 6-24x was attached to a Howa 1500 .22-250. At the range, 60 nearly non-stop rounds of 55 grain ammo confirmed that the Arctic Fox was both durable and worked as advertised Groups fired from the bench affirmed the scope’s ability to hold point of impact. Precision of the 1/4 inch clicks adjustments proved fairly precise in shooting the square, but the 21st and final shot landed about one inch left of the bullet hole left by the first round. Maybe I pulled that one since all the holes in each of the other four squares were only about 1/2 inch apart. For scope adjustments to be repeatable, the springs that push the erector tube against the screws must be strong. It is a good indication if it takes a firm effort to turn the dials and the click-type adjustments have a positive feel. With the scope zeroed at 200 yds. aided by my Leica rangefinder, I experimented with its range finding ability to determine the proper holdover marks for 300 and 400 yds. The exercise proved a lot easier than expected, as the second dot was dead-on at 300 and the hashmark under it produced a point of impact about 2in. low at 400. Our test Winchester Supreme ammo with 55gn BST which chronographed 3655fps has an extremely flat trajectory, nevertheless, results indicated that the scope’s built in corrections can be adapted to cover practically every long-range hunting cartridge’s trajectory path. But only if the shooter goes to the trouble of checking where each hashmark on the reticle impacts at various distances on the range. 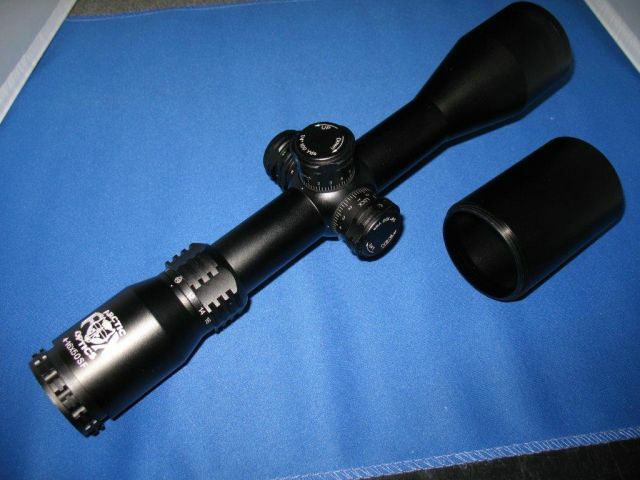 The 6-24×50 scope proved to be a reasonable example of good optical design. Curvature of field was minimal – hard to detect. Nor could I detect any barrel or pincushion distortion or any rolling distortion at any magnification from 6 to 24x, which is a basic 4x zoom range. Some of the latest you-beaut European scopes now feature an 8x zoom factor, but what hunter needs it? 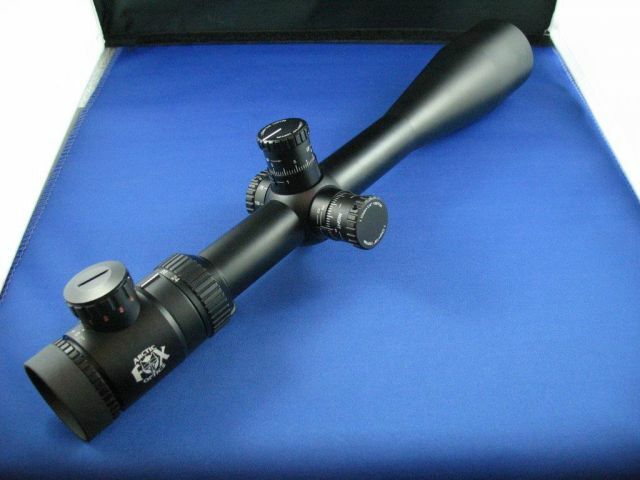 The Arctic Fox 6-24×50 with graduated reticle for help in range finding is a rather specialised unit that I feel would be of most interest to target shooters and varmint hunters interested in a target-style scope. Selling for $499 it represents good value for money. But I am sure there’s a scope somewhere in the Arctic Fox line to suit all tastes and purposes.